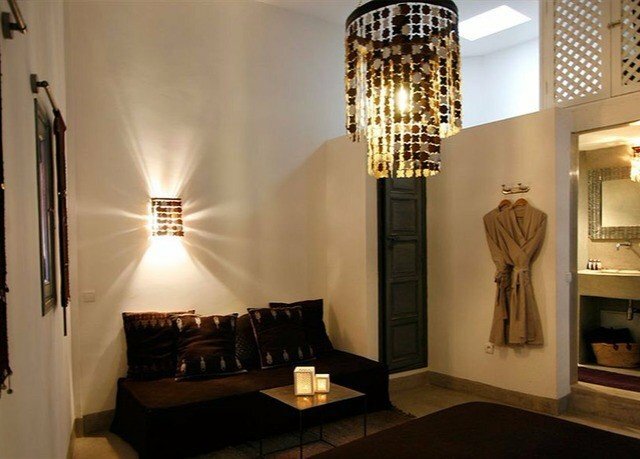 Earning rave reviews since its opening, Riad Awa is a modern and bohemian riad south of Marrakech’s ancient Medina. 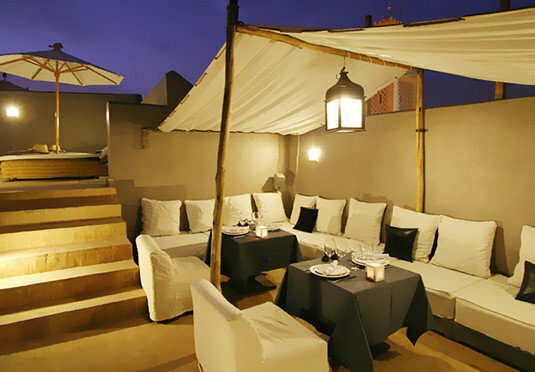 Just steps from the Royal Palace and the exotic colors of the souks, this is a chic, shady space that features a rooftop terrace, where you can soak up the cityscape, drink in the Atlas Mountain peaks and even enjoy some star gazing at night. This gorgeous, traditional stay gives you the best of both worlds: You’re within walking distance of the heart of the city, with it’s lively atmosphere and bustling markets, but you’ve still got a quiet, relaxing spot to return to at the end of the day. 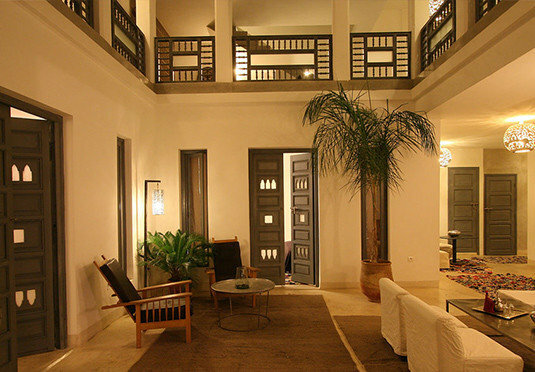 As great as the location is, the interiors of this stunning riad are what really impress. Elegant, modern furnishings are paired beautifully with the traditional architecture and ornate details found throughout the retreat. And it’s not just the design that’s earned this place its reputation. 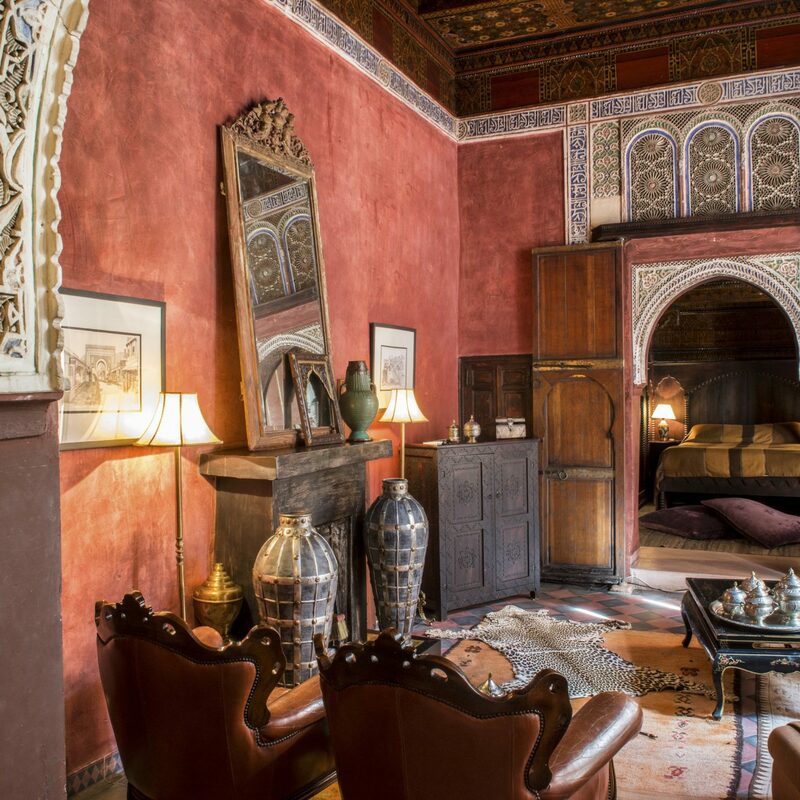 The riad features a traditional Moroccan spa, where you can indulge in an exfoliating hammam session, a beauty treatment or a massage with Argan Oil. 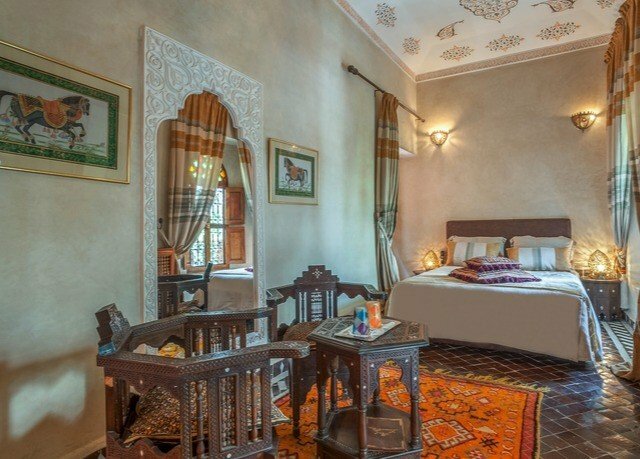 There’s also a restaurant serving local dishes and fresh mint tea, which you can have in the dining room or on the terrace adjoining your stylish boudoir. The elegant and individually designed Superior rooms ooze laid-back, bohemian chic, with tasteful furnishings and muted color schemes. 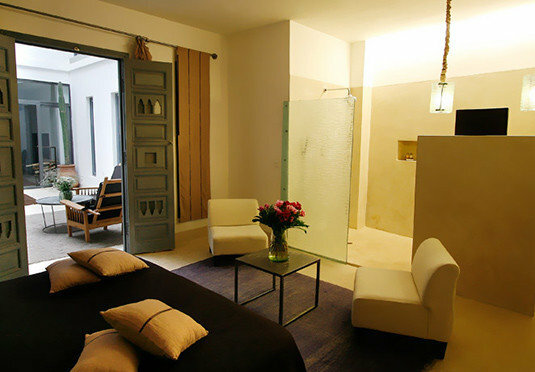 Each room provides a seating area, a luxurious en-suite and Percale linens and robes. A delicious continental breakfast is served each morning. Later in the day, you’ll enjoy home-cooked local cuisine in the conservatory dining room, which opens out onto a sunny patio. 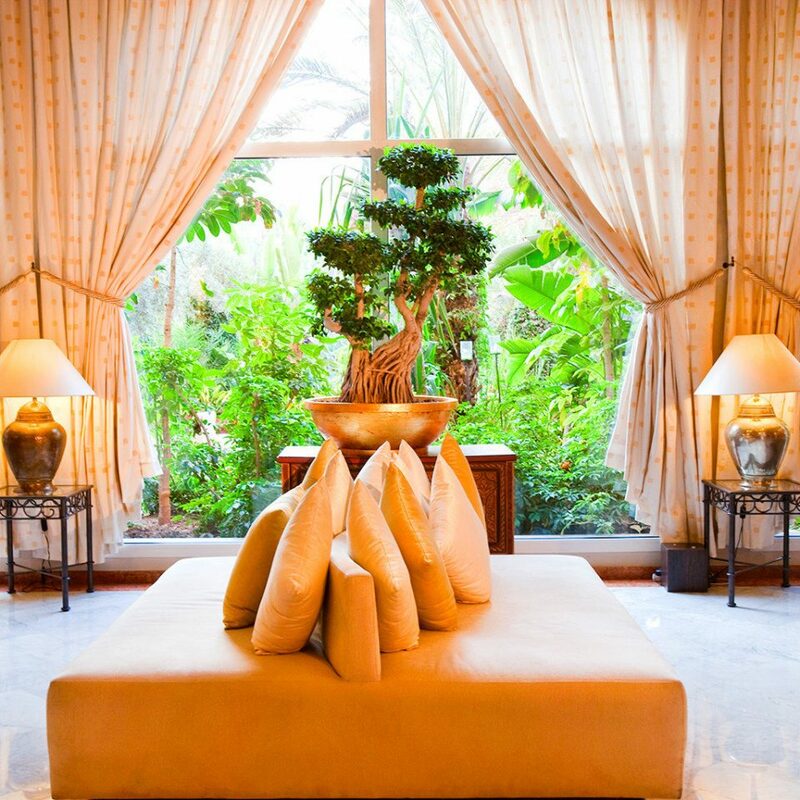 Using traditional Moroccan techniques and soothing Argan Oil, this spa feels both luxurious and authentic. You can have an exfoliating hammam treatment (perfect pre-tan) or a massage with essential oils. Manicures and pedicures are also available. 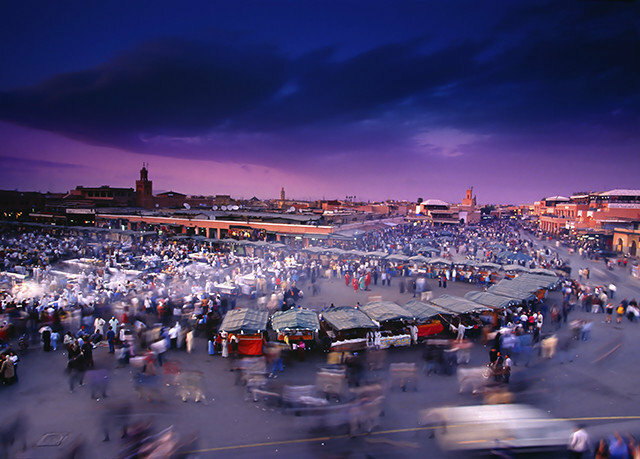 Set in the heart of Marrakech, the tall walls of Riad Awa block out the bustle of the city, yet you’re never far from the action. 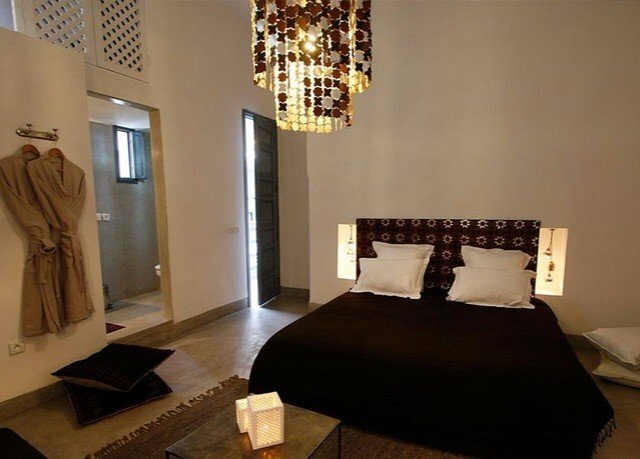 Located south of the Medina, this luxury riad is close to the Royal Palace and the Saadian Tombs, as well as the Bahia and Badi palaces. 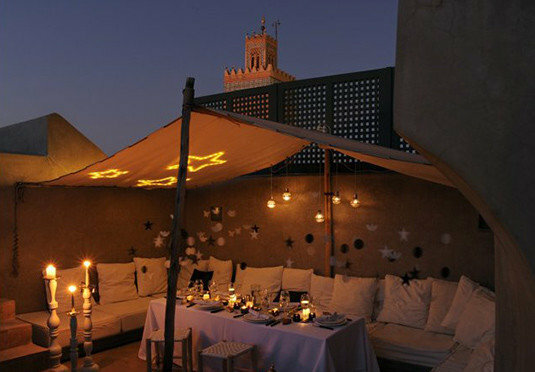 This was our third riad in Morocco...and whilst Ok, it was not great for the dollars spent. 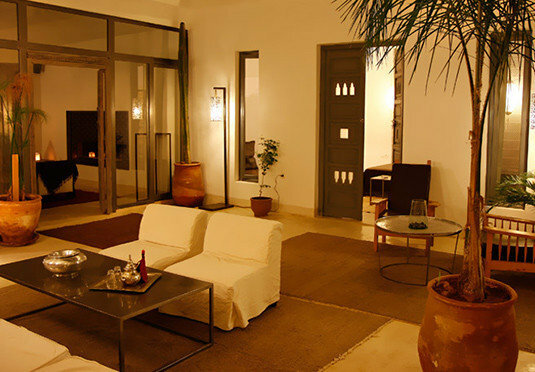 Same price per night as the amazing riad we stayed in in Essaouira...that had the wow factor, Awa, sadly didn’t. No instructions sent re parking arrangements (which you have to pay extra for) and no GPS coordinates made finding the place (we were self driving) very challenging. The lady who met us spoke no English but provided us with the usual mint tea....we weren’t asked if we wanted sugar or not and it arrived VERY sweet...so ask for ‘sans sucre’ unless you have a very sweet tooth! Furniture downstairs all looked a little tired (better when table clothes on tables). I was left ther when my husband went to relocate the car and was not shown to our room until I went and asked. The room we had on first floor was large, nice lounge area, bed comfortable but on the firm side, air con good. 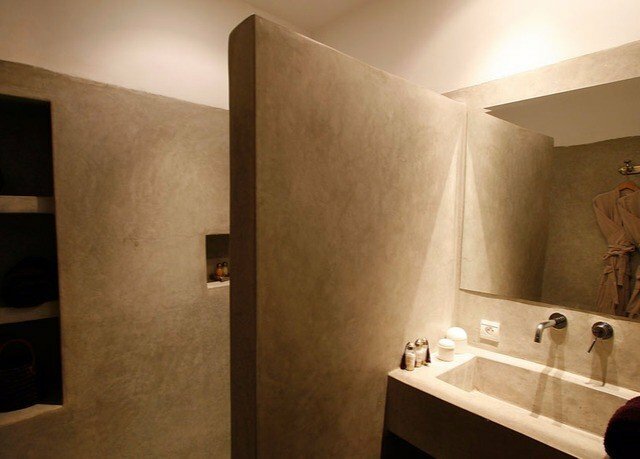 Clean, good towels and toiletries. Noisy as small windows (single glazing) to outside passage and a man shouting until 11ish one night, right outside the window. Breakfasts adequate, roof terrace with small pool a nice place to relax. Wifi good at some times of the day and slow at others. Location convenient for walking to souks, square etc. can’t compare to other riads in Marrakech, and had we paid in the region of nz$180, this would have rated higher, but at $220 a night, not good value. We booked here due to TA reviews, location & parking. 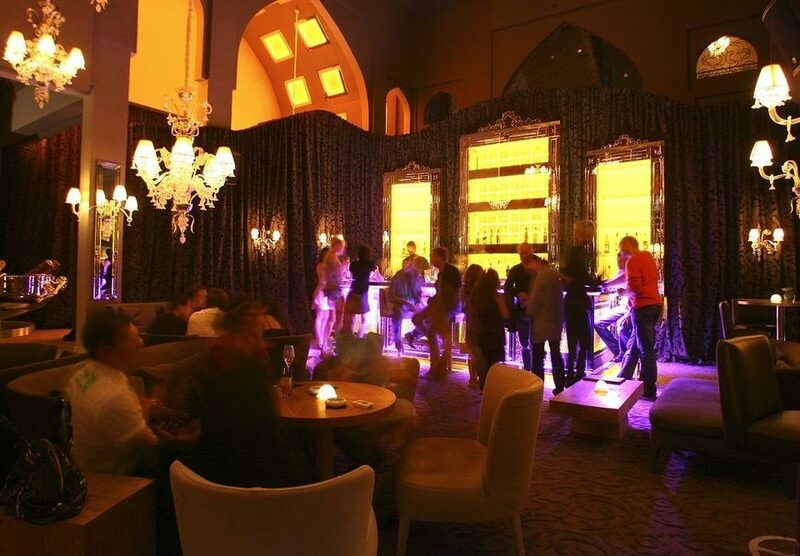 The location was great, easy to walk to just about anything you wanted or taxis were available right outside. Initially not an easy place to find when using Google maps... we were driving. then, the parking is 2-3 minute walk up the road, whereas you expect it easy to find. Once you drive into the Kasbah it’s a 1 way trip... it makes sense once you have been there, but beware. The Riad: for the price it wasn’t as good as the one we had in Essaouira for the same price, in that I mean the quality of the room, furnishings, customer service & breakfast. I’d give 7/8 out of 10 here for those attributes. A let down was the reception as the lady @ the time we arrived spoke virtually no English. Others did, so it was better when their shift started. We had a 3 course meal the 1st night... chicken Tagline loaded with olives... I hate olives!!!! Though the dinner was nice. Wifi was poor, usually better in the morning. Good stay, but they could improve on a few aspects. 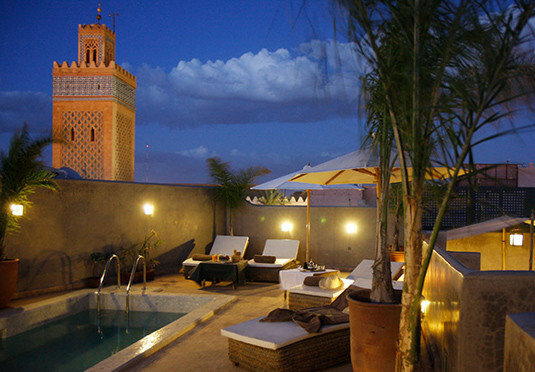 Booked to stay at Riad Awa for my birthday. After a long and wet journey we arrived only to be told that they had overbooked and despite having my email decided to wait until we arrived to let us know. No info as to where they had booked and reluctantly showed us pictures after about 45mins. Spoke to manager/owner on the phone - very unhelpful as were the rest of staff - not a great experience. 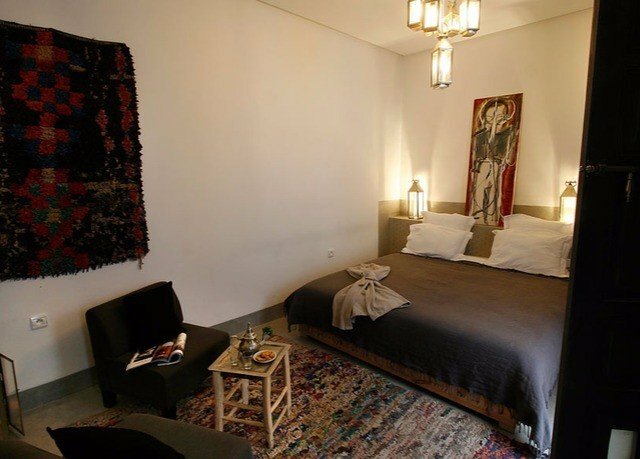 From what I saw - the Riad was tired looking and not like the pictures also an overwhelming smell of cigarette smoke. 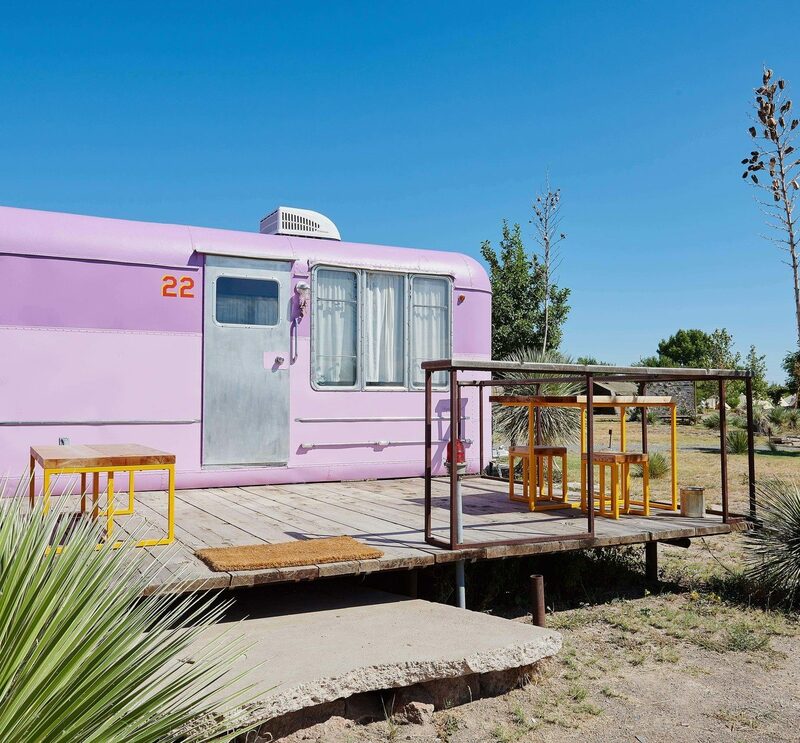 Best thing about this experience was moving as we ended up staying at Dar Charkia which is amazing. The Riad was perfectly placed for exploring Marrakech. 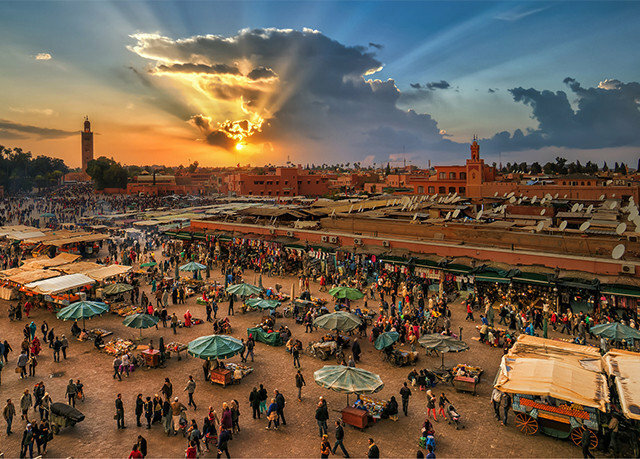 Located right at the Medina walls, it meant that the taxi could stop right outside rather then dropping you off in the main square and then having someone transfer your bags through the winding streets. 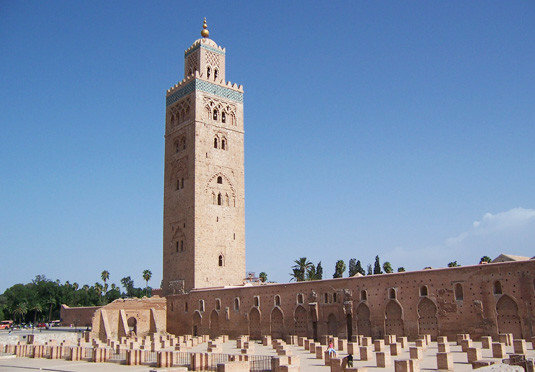 It was still only a 10 minute walk from the main square and literally round the corner from the Saadian Tombs. 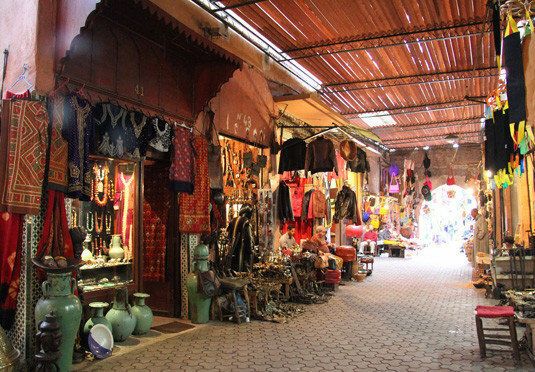 The streets surrounding the Riad had a number of nice shops and places to eat without being overcrowded like some other parts of Marrakech. Inside the Riad the staff are very welcoming and nothing is too much trouble. 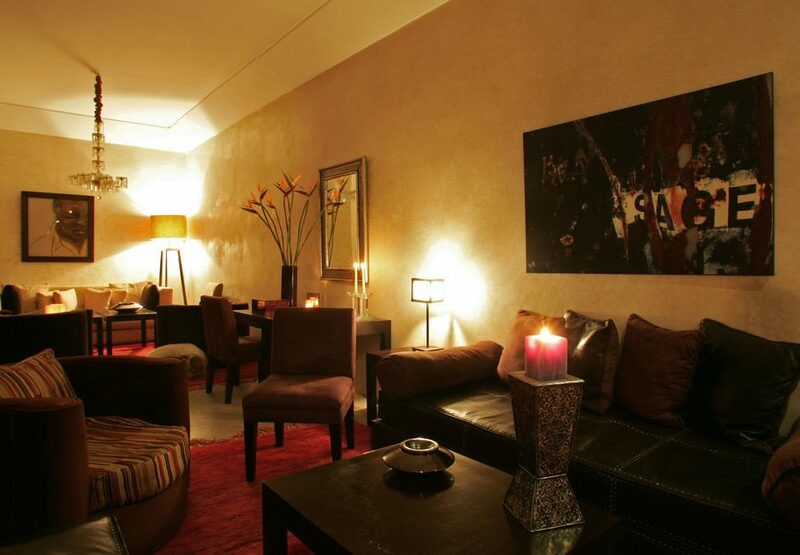 They have a hammam and can organise massages or other treatments for you. Breakfast is simple but tasty start to the day which was served for us on the rooftop terrace. There is a small swimming pool and sun loungers on a two height rooftop. The rooms are quite small but comfortable. A very nice stay. A group of 6 of us stayed here last year - one of the travellers was pregnant at the time and they treated us brilliantly. Mohammed was an incredible host - really friendly and helpful at all times. 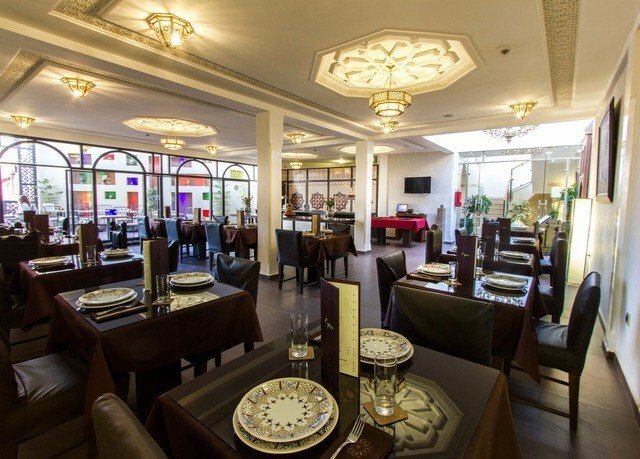 This place made my stay in morocco a lot more enjoyable and I will definately stay there again!! The photos do not do it justice. Thank you for such an amazing stay.